Wednesday evenings 7:30-9:30 unless otherwise noted. A place to meet and talk unmediated by corporations, official spokespeople, religion, political parties, or dogma. Our Public Talks are partly underwritten by the City Lights Foundation. Confused about podcast subscribing? Go here for an explanation on how to do it. 50 years after the arrest of seven young men from the Mission District galvanized a movement, women gather who were active in creating the multi-faceted community response that grew out of the Los Siete Defense Committee. 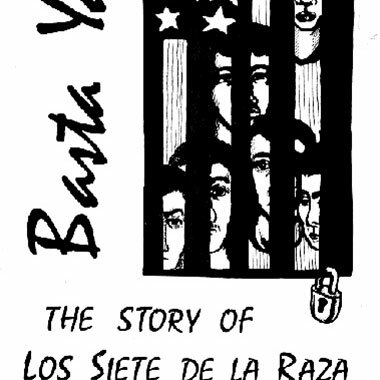 From Basta Ya!—the newspaper—to Centro de Salud and La Raza Information Center and a free breakfast program, explore a lasting legacy in this plática including Donna James Amador, Yolanda M. Lopez, Judy Drummond, Maria Elena Ramirez, Nilda Alverio, and author Marjorie Heins (Strictly Ghetto Property). Eva Martínez moderates. 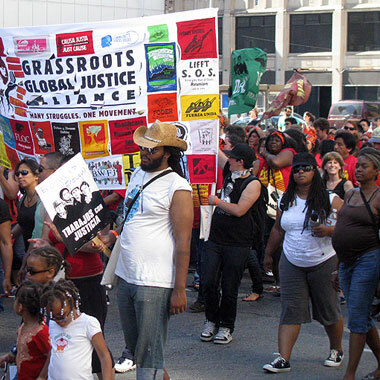 Gopal Dayaneni (Movement Generation), Anthony Khalil (Literacy for Environmental Justice), and Jason Mark (editor, Sierra Magazine) discuss urbanity and ecological crisis from their ultra-local, regional, and national perspectives of environmental and ecological justice. International volunteers rushed to Spain in 1936 after General Francisco Franco led a military coup against the Spanish Republic. Adam Hochschild, author of Spain In Our Hearts, brings to life remarkable characters in this bloody and bitter conflict that consumed Spain for 3 years. 80 years ago this spring the conflict ended, leaving the country under three decades of military dictatorship. 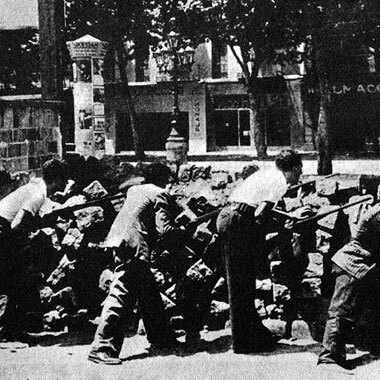 Photo: Citizens of Barcelona rush to barricades to defeat fascist uprising, 1936.